Widescreen images are a variety of aspect ratios used in film, television and computer screens. For television, the original screen ratio for broadcasts was 4:3 (1.33:1). In the late 2000s, 16:9 (1.78:1) TV displays came into wide use. They are typically used in conjunction with high-definition television (HDTV) receivers, or Standard-Definition (SD) DVD players and other digital television sources. In general, the widescreen TV screen always adopts 16:9 aspect ratio, with the function of stretching picture vertically or horizontally. So, flat-screen televisions will automatically stretch the picture into 16:9 widescreen sight, after receiving the widescreen-deforming signals coming from DVD. Compare to the 4 X 3(namely the full screen DVD), the 16 X 9(the widescreen DVD) is like a wide angle lens. Therefore, if you want to get a better visual experience when playing DVD on widescreen TV, some adjustment on your DVD movie is necessary. To crop your DVD movies for fitting your widescreen TV, Pavtube BDMagic (Read review) is your best choice which converts DVD videos to playable videos for widescreen TV easy and fast with hidden features such as trim, crop videos and add watermarks, special effects and subtitles. Built-in 370+ video/audio codec, it can rip DVDs to any video formats supported by Android TV with removal of copy-protections, CSS, region code, RCE, Sony ArccOS, UOPs, Disney X-project DRM and deliver possible highest video/audio quality. With this DVD ripping assistant tool, we can make best use of the benefits flat-screen TV has brought to us for getting a better experience in playing DVD on Widescreen TV. Get it and feel free to have a try now! Step 1. Download and install DVD to Widescreen TV Ripper on Windows (10/8/7/XP) PC (Mac OS Sierra users please turn to Pavtube BDMagic for Mac). Then, follow the steps to rip and stream DVD movies to Widescreen TV. Step 2. 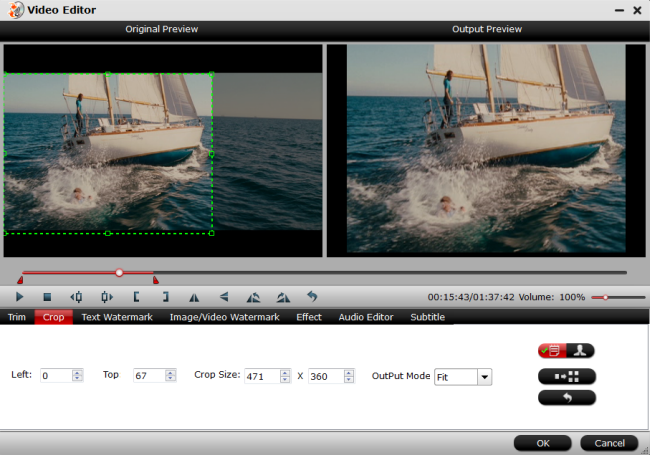 Select the Subtitle, Audio and Angle for your preference. Step 3. Click on the Format dropdown box to select an appropriate profile for DVD movie output. Among the HD Video profiles DVD to Widescreen TV Ripper provides, select “H.264 HD Video(*.mp4)” profile. Image quality will be adequately maintained in this format. 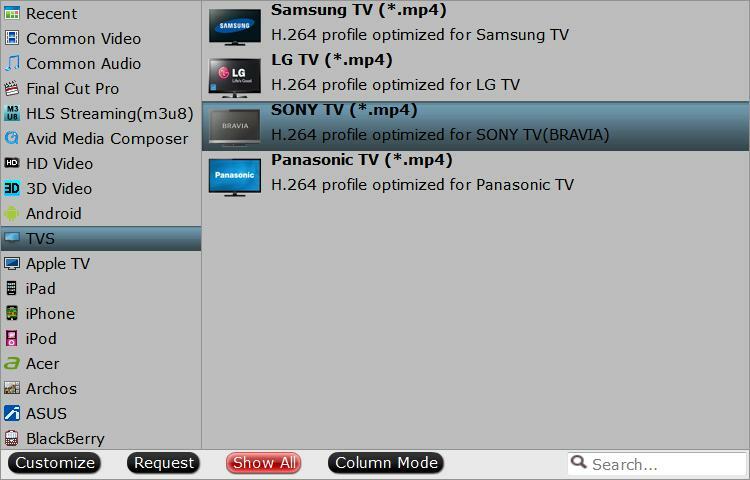 You can also directly select TV optimized file format under “TVS” main menu, the suitable TV format according to your TV brand. There is no need to change the aspect ratio if the display screen is in a 4:3 format. If you don’t mind that the picture/image will be stretched too much, click “Edit” in the main interface of Pavtube DVDAid to enter the editing window, tap on “Crop” and choose “Stretch” from “Output Mode” dropdown list to remove the black bars. To ensure precise cropping and cut off black bars/edges, drag the dotted line around the image to crop the unwanted black bars in preview window. After it’s done, click “OK” to save the change. Upon selecting an output profile, advanced users can click “Settings” button by the side to change sizes and you can choose “Original”, “1920*1080”, “1208*720”, “1440*1080”, etc under the “Size” dropdown list. The best value fits for your screen depends on your original video resolution. Step 5. Click the “Convert” button to start ripping DVD movie for Widescreen TV. After making these adjustment on DVD movie, connect your computer to flat-screen TV for movie enjoyment at ease.